DEEK: Alright, I can assume there's a strong influence from J.R.R. 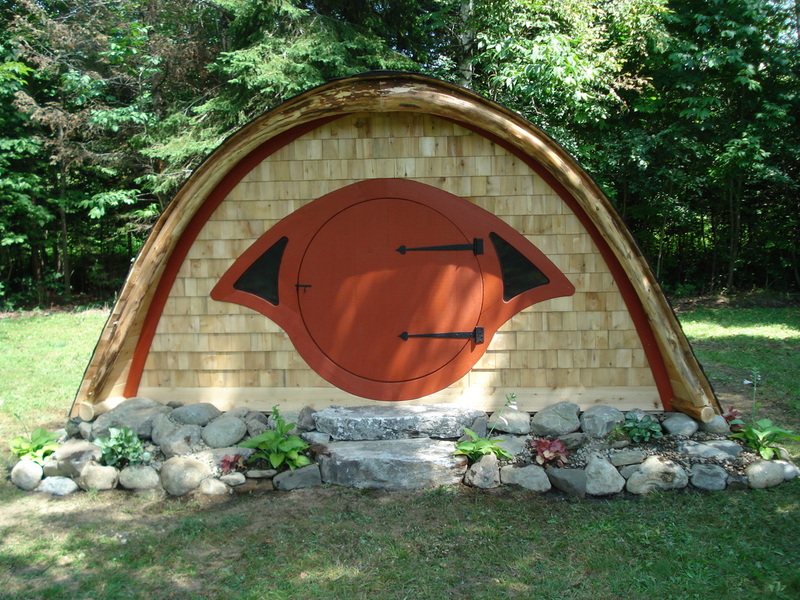 Tolkien's work, but what drew you to build and dabble/enter the shedworking/hut business? And what about some of your other inspirations, or your quick backstory? MELISSA: Rocy had been doing traditional carpentry for over 15 years and he was ready for a change. He was not only bored with the work, but we also have a young family (two sons: Richard, 3 and Maxximus, 1), so we wanted to build a home-based business rather than a job-site based business. He's a really creative guy and a big fan of fantasy, so it was a natural fit for him to apply his mastery of carpentry to more creative and whimsical structures. Hobbit Holes are just one of many fantastical structure concepts brewing in Rocy's mind, but once we built the Hobbit Hole prototype, the idea started to gain traction and we've built the product line from there. DEEK: Now, the very first "Hobbit Hole" you built- how long ago was this, and has the design changed much over time for you? What different models do you offer too? 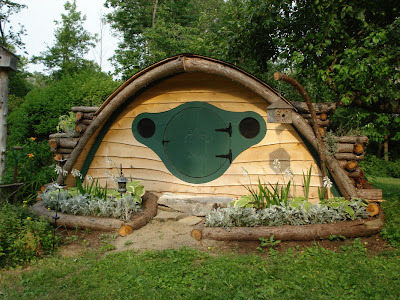 MELISSA: We brought the "original" Hobbit Hole to the 2009 Common Ground Country Fair, which is a big three day "country fair" that takes place right in our home town of Unity, Maine every September. It was a playhouse Hobbit Hole model and we also brought a play-castle/tower prototype. Our booth was absolutely swarmed with children all weekend, so it was clear that both products were a hit with the kids. But we noticed an important distinction in the reactions of the adults between the two products. They barely gave the castle a second glance, but they were very interested in the Hobbit Hole and stood there trying to come up with other uses for one. This told us two things. 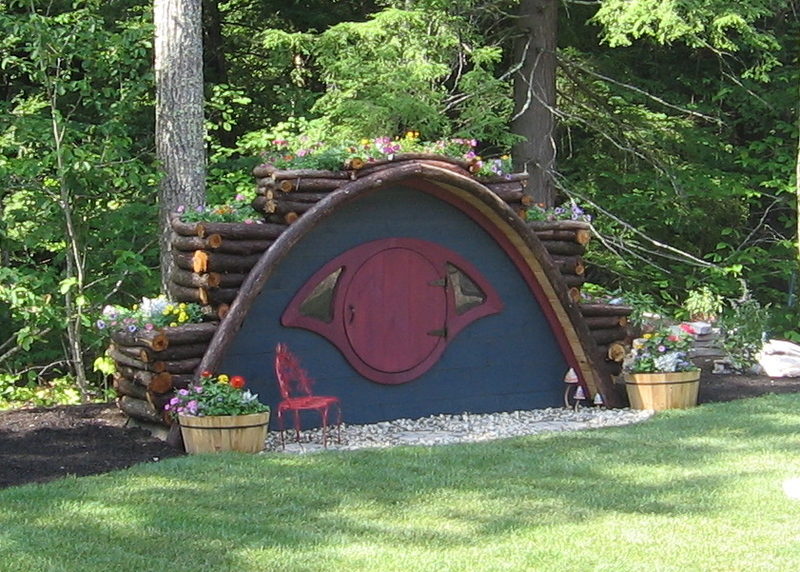 First, we knew we had a winner with the Hobbit Hole concept. Second, we knew we had better come up with more variations on the theme because our potential market for them went far beyond parents and grandparents in the market for a playhouse. 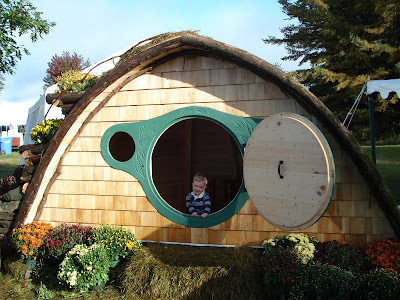 Thus our Hobbit Hole product line was born. We're always improving and refining the designs, and developing new ones. Some new concepts make it to the end, and others flop. 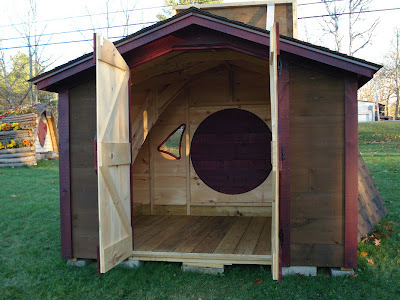 Last winter we developed a line of doghouses, but we weren't happy with the finished product, so we dropped it. 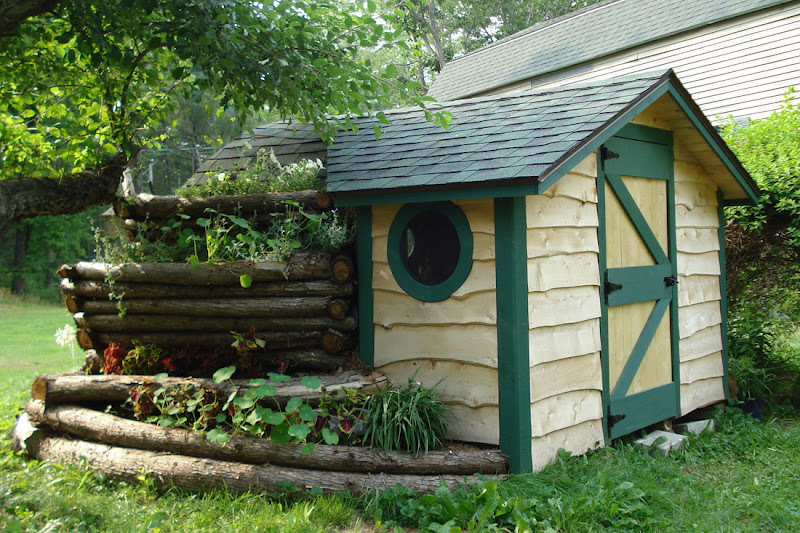 We currently have five distinct product lines, each of which come in multiple sizes and with many customizable options: playhouses, chicken coops, sheds, cottages and saunas. We also have a Hobbit Hole kit product line in development, which is particularly exciting because it will really broaden our reach. The products in our current lines are delivered fully built and finished. While this allows us to have a highly customizable product, it also means there's a limit to how far we can sell them before the cost of delivery becomes prohibitively expensive. The kit options we're working on will give folks outside New England an opportunity to purchase a reasonably priced Wooden Wonders Hobbit Hole. DEEK: In most cases, what do you find people people purchasing these for? I see a wide range of possibilities, but what do you find most commonly? MELISSA: It really runs the full range of what we offer. We've developed our products based on what people have told us they want, and we can always do a custom job to fit a customer's needs. 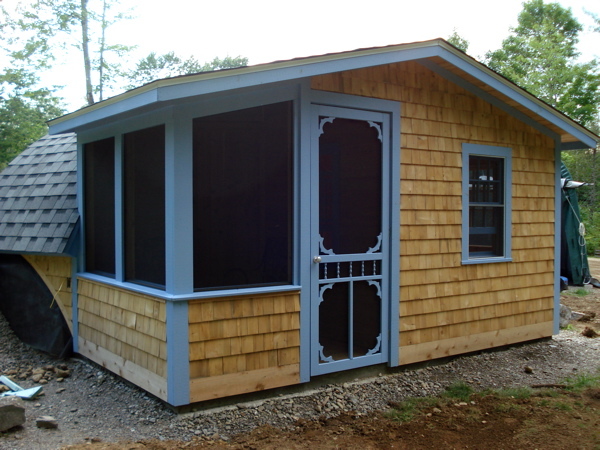 Cottages and playhouses are our two most popular products, and the cottages people buy are used for most anything: a seasonal guest room, camp, office, studio... The sauna is our newest product, so we haven't done as many of those. We also just launched the chicken coops last fall, so we haven't done too many of those yet, either, but I think they're going to be popular. DEEK: Could you give us a brief description on the overview and facets/features of these? Better yet- the building process? 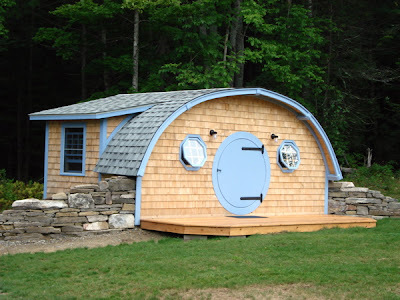 MELISSA: The most notable features, and what makes them "Hobbit Holes" are the curved walls which form the dome shaped face and the round front door. We make each curved rafter by hand by laminating several layers of cedar and bending them on a hydraulic glue press. It's a fairly labor and time consuming process compared to using dimensional framing lumber, but it's also what allows us to build products that really set us apart from anything else that's out there in the marketplace. The round front doors also come with their challenges. It took us a while to find hinges that met our quality and durability standards and also looked nice. And the bigger the door, the trickier it is to engineer the hinge so you still have a properly functioning front door. DEEK: Wow, more involved, and more layering than I would have expected....Messing with any new designs/variations on the horizon? MELISSA: We're pretty excited about our upcoming line of Hobbit Hole kits. The designs we're working on will incorporate more of the living roof look that you might typically associate with a Hobbit Hole. They're going to be dang cute and I think it will be an appealing combined carpentry and landscaping project for the DIYers out there (or you can hire someone to do the work for you). Your readers will have to follow us on facebook to find out when we have them ready to sell (facebook.com/HobbitHoles). We're hoping to roll them out sometime in 2012. DEEK: Before I let you go- Your show room up in Unity Maine, can anyone just stop by and poke through these things? 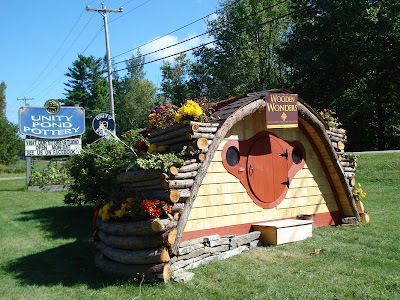 MELISSA: We've got Hobbit Holes on display all over the place in central/midcoast Maine at the moment-- next to Unity Pond Pottery in Unity, in front of Stephen King's Zone Radio stations on Broadway in Bangor, next to the Maine Coast Welcome Center on Rt. 1 in Belfast and at Plants Unlimited on Rt. 1 in Rockport. Folks are definitely encouraged to stop and take a look. We'll even meet you there if you give us a few minutes notice. People might also want to know that we have some of last year's inventory on sale (www.hobbitholes.etsy.com) and we can offer a 10% discount on any custom orders placed by March 1st. Just tell us Deek sent you! 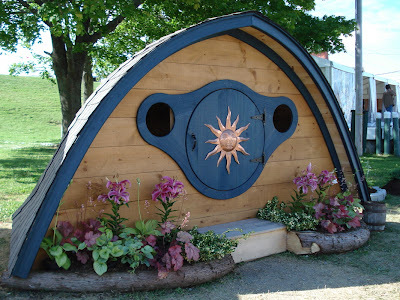 "Like" us on facebook: www.facebook.com/HobbitHoles, bookmark our web page: www.wooden-wonders.com, and come visit! 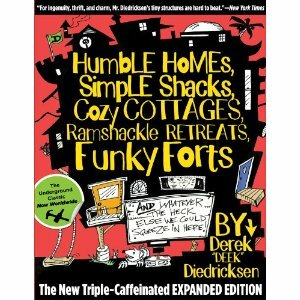 (The site is certainly worth a look- some really fun, eye-candy, for all you tiny house addicts).